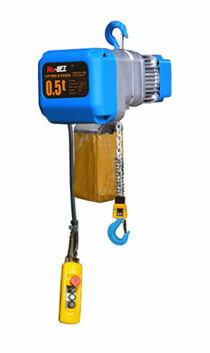 Our SHH series electric chain hoists which come with the newest square shape complying with international demand. The high tensile aluminium alloy cover is light in construction, offers strong corrosion resistance, which is suitable for high classification end usage. The unique friction overload clutch protects the unit from overloading. 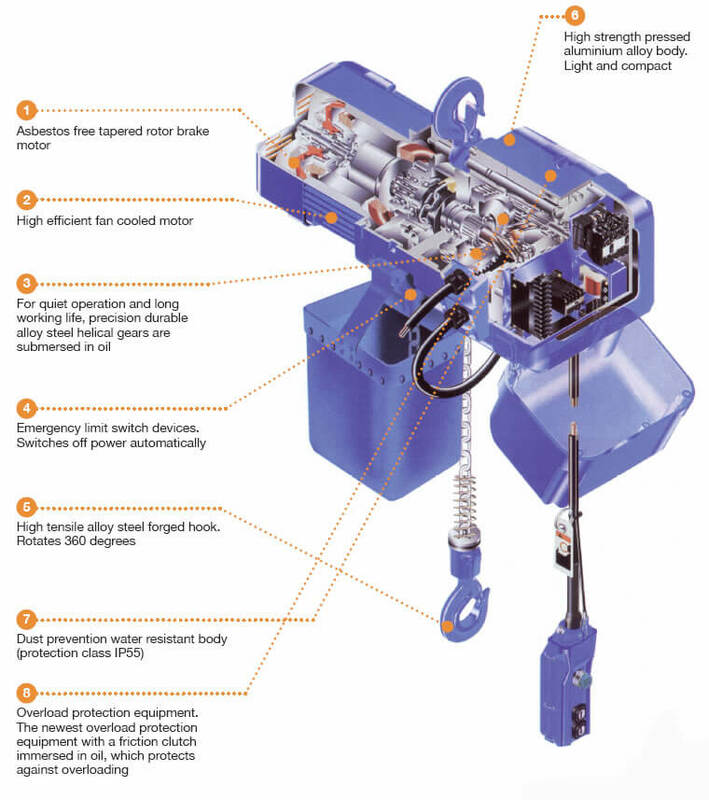 The hoist is fitted with a high quality tensile chain, high quality electric components with safety protection and also complies with the international standards. High efficient Fan cooled motor. For quiet operation & long working life the durable alloy steel helical gears are submersed in oil. High tensile alloy steel forged hook, rotates 360 degrees. Over load protection equipment, with a friction clutch immersed in oil which protect against overloading. The Benefits of replacing an old chain hoist with a new SHH chain hoist is the Cost advantage, why repair and old chain hoist that is old when a a new chain hoist may cost close to a repair of an old chain hoist.